Hit list - Wylie Communications, Inc. If David Letterman taught us one thing during his tenure as host of Late Night, it’s that people love lists. Readers insist on lists. Write your content in this format, and watch your social media shares go up. Image by Ana C.
Lists. Break your story into bullets, add an intro and conclusion, and you’re good to go. Counting down from 10 to 1, optional. See David Letterman’s Top 10 Late Night Moments. “Why?” posts. Answer this essential reader question, and readers will spread the word. Check out The Next Web’s Why millennials don’t want you to talk like them. Videos. Some of us are readers; others are watchers. Capture your nonreaders with videos. But don’t leave out readers: Take a tip from TED Talks, such as Shawn Achor’s The happy secret to better work, and provide a transcript, too. How-to articles. Give your readers news they can use to live their lives better, and watch your post travel the world. See 7 tips for tipsheets. “What?” posts. Also known as “explainers,” these posts aim to educate readers about your topic. (That’s educate; not bore, blather on and discombobulate.) See “How to Eat Healthy Meals at Restaurants” from The Upshot, the king of explainers. Are you still pitching your products and writing posts about “us and our stuff”? Maybe it’s time to produce the types of content that readers will actually read and share. Attract 300% more readers (Groove HQ)? Get more social media shares (Reuters Institute)? 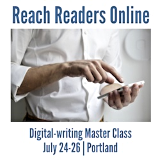 Boost readership, understanding, engagement, interest, satisfaction and more (The Poynter Institute, The Readership Institute, the American Society of News Editors and the Newspaper Association of America)? 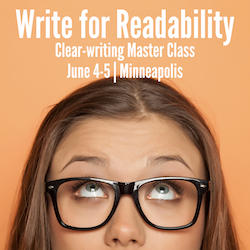 Learn a structure that’s been proven in the lab to grab readers’ attention, pull them through the piece and leave a lasting impression. Master the temple structure, a designed-for-the-web story form that grabs reader attention, pulls them through the piece and leaves a lasting impression. Write leads that drag readers into your piece with our 3-step test. Fill in the blanks to the best survey story you’ve ever written, using our easy template. Get a simple template for crafting a tipsheet that almost writes itself. Model the masters to a great case study: It’s easy with our annotated example.